Charlotte began playing the violin at the age of seven. Just three years later, she appeared as soloist in the Beethoven Romance with the National Children’s Orchestra. In 2001 she went on to study at the Royal Academy of Music with a scholarship, graduating with First Class Honours and received a DipRAM plus the Franstein Prize for an outstanding Final Recital. In 2003, Charlotte won a full scholarship to study in Boston at the New England Conservatory. 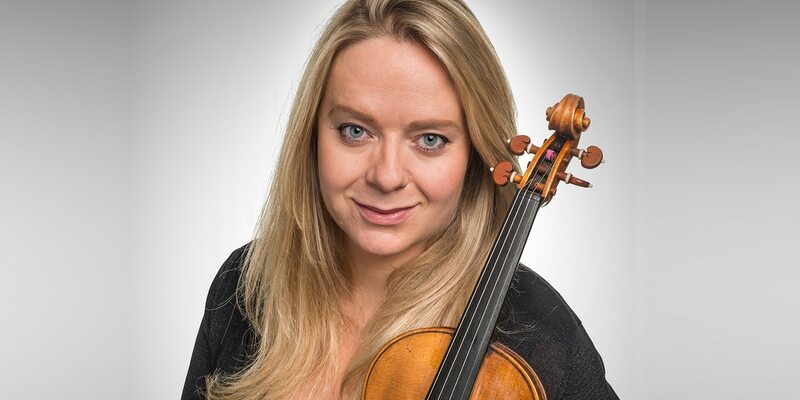 Charlotte was a founder member of the Piatti Quartet, which won numerous prizes including the St Martin-in-the-Fields Chamber Music Competition, and in 2012 were nominated for a prestigious Royal Philharmonic Award. Her international concert schedule with the Piatti Quartet toured to many prestigious venues, and their discography includes recordings for LINN Records, Classical Label and Champs Hill Records. She was awarded a scholarship to attend IMS Prussia Cove for three years and in 2013 she became a member of the Badke Quartet. When I first picked up this Strad, it was one of the most powerful instruments I had ever played, the more I played each note I knew that this is one of the finest tools I could ever wish for. This violin is without doubt a true inspiration, and if I were to be able to secure it for long-term use, each time I picked up the violin it would be a joy and an adventure.